“Has my Westlawn training been useful? Westlawn gave me the training, background, and confidence to make the jump from a yacht carpenter to a yacht designer. I have worked as Chief Engineer at Mako Marine designing flats boats to cabin cruisers, as the Designer and Prototype Manager for Pursuit, and have been at Jamestown Metal Marine Sales for the past 10 years as a Project Engineer, where I oversee a design group specializing in outfitting. In smaller vessels, the designer will work on most aspects of the vessel from hydrostatics and stability to interior plumbing and sailplans. Westlawn's rounded curriculum prepares the student to understand the entire design process. As I progressed to larger vessels, the design effort is divided into specialties, structural, HVAC, piping, outfitting, etc. Westlawn does not include instruction on SOLAS, or USCG regulations for ships. However, Westlawn's background helps me understand the other trades and work with them to finish the ship. And the self-study process a student develops at Westlawn helps the designer to study, understand, and put into practice the volumes of federal and international regulations that guide ship construction. 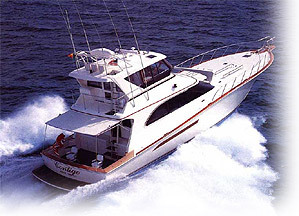 I started in the marine industry 30 years ago, as a carpenter building plank-on-frame sportfishing yachts in South Florida. Today, I am a Project Engineer for a major outfitting company. Some of my projects include the SBX, part of our Missile defense system, the DDG program at Bath, the new Woods Hole Ferry under construction at Halter, polar tankers constructed at Avondale, articulated tug barges under construction at Bender. Has my Westlawn training been useful? I began Westlawn 20 years ago. Before I finished the course, I was able to obtain a job as a designer. Unfortunately, as my career progressed in new directions, I was not able to complete the course and obtain a degree. Not being able to complete Westlawn is a disappointment. Extra effort pays off: One of the lessons learned at Westlawn is putting in extra effort. I worked a full time job as a boat carpenter, then studied at night on the dinner table with my children, putting in the extra effort. When the extra effort paid off in a new job, I continued to put in extra effort studying regulations and previous designs, studying all the other new vessels that our competitors produced, looking for trends and new ideas. And that extra effort paid off with promotions and other jobs. It was the right choice, and proficiency at AutoCAD with a strong background in yacht design, lead to my current job. Had I not made the jump to AutoCad I doubt I would still be in engineering today. Yes, the training I received Westlawn has been responsible for my career, not only the knowledge in vessel design, but also the work habits of self motivation and extra effort. Wish I had the Westlawn diploma to proudly display in my wall right next to the SNAME and ASNE memberships. As a Project Engineer, I supervise a staff of designers who have attended various institutions. None match the background and depth I got from Westlawn. I would like to find Westlawn students interested in ship interiors, outfitting, and/or HVAC to employ here at Jamestown.